MotorCenter Peetri rises on the border of Tallinn, next to Tallinn-Tartu road, which is one of the highest density of traffic, creates cooperation and synergy. The Centre will be located in rapidly evolving and highly valued commercial, industrial and residential area, address Tähnase tee 1. Ülemiste City is just 3 km away, and Rae parish's largest and most rapidly growing Peetri borough is on the other side of the highway. 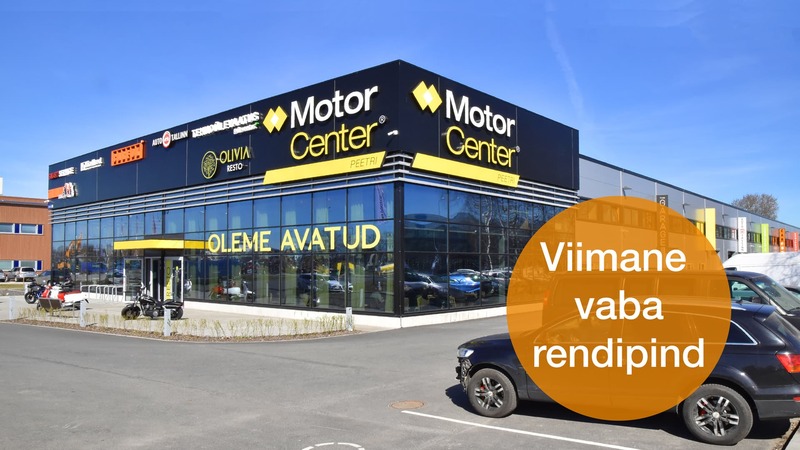 MotorCenter Peetri is located on the Tallinn-Tartu Hwy, on a lot at Tähnase Rd. 1, located at the beginning of the Mõigu Techno Park, with good visibility and access. There is separate access to the premises on offer at the MotorCenter, which can be adapted to suit the tenant’s needs. The premises range in size from 180 to 800 m2; suitable primarily for automotive services, such as servicing, tire changing, glass replacement, carwash, auto and technical inspection. In addition, there are attractive dining and commercial premises in the building. Excellent access is ensured by the parking lot that surrounds the building, where 87 parking spots are divided between the tenants and customers. Based on an energy audit, an energy label C had been issued to the building, with an energy efficiency rating of 202 kWh/m2*a in the commercial and dining section and 179 kWh/m2*a in the vehicle service section. The fuel consumption in the commercial and dining premises is measured separately, and during the summer, an air conditioning system ensures a comfortable temperature. Central heating for the building is provided by a gas boiler.